Sometimes a change is good. Something different, something new. We tend to eat the same things over and over (I do it too) and it gets boring. No matter how good the food, sometimes it just gets boring. Why do we do it? It’s easy. Convenient. No one wants a big project or cleanup when you’re tired or don’t have the time/focus. So bored it is. Sometimes really great ‘new’ things can be extremely fast and easy. And watch what they do to your ‘boring’ meals. This one is best with fish, but goes well with any protein, and can stand on its own as a side dish. It’s fast, packs a punch, is very healthy, and is probably a new addition to anyone’s routine. Bring a grill to high heat. Make sure the grates are clean and well oiled. Shuck the corn. Without oiling, place the corn on the grill and char. Turn to make sure all sides are charred (charred means a few kernels are very dark, half the kernels are golden brown, and the other half are mostly uncolored). Let cool. Combine everything in a mixing bowl, season with salt, pepper, cumin and ancho chili. The salsa is ready to use. 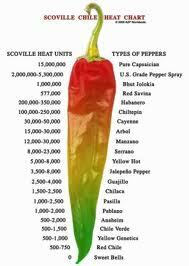 It should have a bright lime/cilantro flavor, mild heat, mild tex-mex flavor and some sweetness from the corn. Again, my favorite thing to use this with is fish (grouper is excellent). Try grilling a med-firm flesh fish, like grouper, true cod, black bass, etc, grilling pineapple, and serving this salsa along with steamed rice. 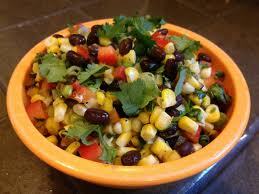 Try mixing it in with taco meat instead of using store bough sodium rich pre-mixes. Want to make it a meal? Work in some cooked orzo and bleu cheese crumbles. At any rate, it’s delicious, fast, easy and can work well into your daily routine. I have been talking a lot recently about the end of summer. Get the last great bbq done, Labor day cook-offs and so on. And of course, in Los Angeles, fall doesn’t exist as it does in New England. This time of year, New Englanders get excited about fall. Cooler evenings, apple picking, looking for the perfect pumpkin, the foliage in the Berkshires and Vermont. The changing of the seasons is always an amazing thing. For chefs, that means we get to change menus. Instead of the summer stone fruits and berries, we begin looking toward squashes, apples, and heartier things. Pork braised in apple cider, osso bucco in a rich red wine and mushroom sauce. And my personal favorite, butternut squash bisque. I love making the bisque, I love eating the bisque, but what really gets me is other people’s reactions to the bisque. In restaurants, I used to make a very thick version and use it as a base sauce, and pile sauteed mushrooms, greens like tat-soi, and seared smoked fish on top. Garnish with pomegranate seeds. It never missed. The soup is not hard, but entails more steps than, let’s say, chicken soup. 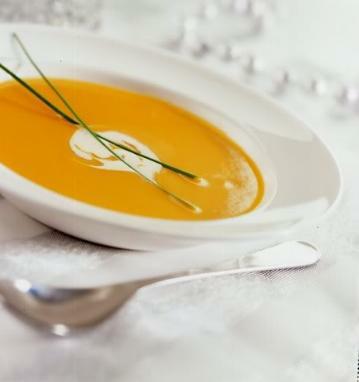 The squash is roasted first (flavor building), and the soup is made in a series of reductions (flavor layering) and is finished via puree and strain. In reality, most cream based or bisque style soups are made this way, which is why we let restaurants make them. Heat an oven to 400 degrees. Evenly coat the squash in the oil, salt and pepper and roast until tender and slightly colored. Let drain. In a heavy bottom stock pot, begin sweating the onion, carrot and celery in a little oil. Season with salt and pepper. Do not color. When fragrant and translucent, add the roasted squash and continue to cook. Increase heat to high and add the sherry and vinegar (acid is great contrast to the sweet squash). Reduce by 1/2. Cover with stock, reseason and reduce by 1/2 again. Add the cream and dry spices and cook until slightly reduced. Puree, either with an emersion blender, or in batches in a bar blender. Strain through a fine mesh strainer to remove all grit. Reseason. If soup is too think, add additional stock. If too thin, return to the stove and reduce, slowly, until desired consistency. Serve. My favorite garnishes would be a dollop of creme fraiche, fresh parmesan croutons, pomegranate seeds, chives or micro greens (chefs blend). This soup will not only warm you on a cool fall day, but it will also warm your soul. This one was supposed to be a secret, but with only a few more weeks of summer left, I thought, why not? I’ve only shared this recipe with one other person, and my understanding was it was either my life, or the recipe. It was a tough choice, but I gave it up. There are a few tricks to cooking chicken wings ‘quickly’. Blanch them or steam them and then fry or grill them is the easiest. But what fun is that? Slow grilling… it’s a technique, and in my opinion, there is no substitute. Smokey, lots of indirect heat, and loads of those bold flavors I so passionately talk about. Enjoy the grilling process. This recipe isn’t completely about the food, it’s also about the experience of making the food. Making something incredible. So, without further delay, here is one of my grilling favorites! Bring a wood grill to temp, let the coals turn white, and move them to one side of the grill (for indirect cooking). Liberally salt both sides of the wings. Make sure the cooking grates are clean and well oiled. On the hot part of the grill, sear the chicken. Move them to the indirect side, and cook, slowly, covered, turning occasionally, until extremely tender and slightly crispy. They should be very dark red and slightly caramelized. For sauces, I prefer something like a black bean dip, guacamole, ponzu aioli, or something that will contrast the flavor of chilis, not hide or ruin it. 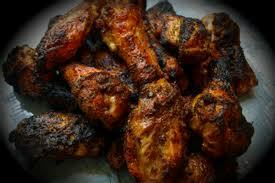 Of course, they are finger food and work best at bbq’s or with friends, not as a ‘main course entree’. I love this recipe. It’s easy, and the flavors are insane. And why not? We need to indulge every once in a while. We (I speak for myself here, as a diabetic, distance runner, etc etc) eat skimpy meals, low carbs, whole grains, watch the intake, and so on, but once in a while, you need to let it go. Give in to temptation and forget the rules for a minute. If it’s good enough, then it’s worth it. Some day, when you’re looking for a project in the kitchen, this is the dish for you! Or if you want to impress the hell out of someone. In a mixing bowl combine the herbs, vinegar and mustard. Slowly whisk in the oil forming an emulsion. Using a box grater, grate the brie, rind and all. Add the brie to the emulsion, and mix thoroughly. Add the panko to bind (should have consistency of firm meatball) and reserve. In a small sauce pot, add the shallot and sweat in oil. Deglaze with brandy and cook until au sec (almost dry). Add red wine and reduce by half. Add chicken stock and reduce by half. Add demi glace and peppercorns and reduce by 1/3. Add cream and reduce until nape (coats back of spoon). Hold warm. Peed all asparagus and remove rough ends. Blanch asparagus in boiling salted water until tender, but still al dente. Shock in ice bath. When cold, drain on paper towel. Reserve. Place potatoes in cold water and bring to 160 degrees for 30 minutes. Drain. Peel potatoes. Place peeled potatoes in luke warm water, add 1/4 cup salt and bring to simmer. Cook until fork tender. Drain well. 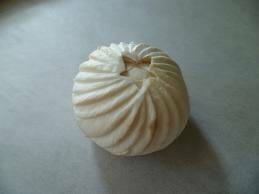 Work potatoes with a food mill or ricer. Return potatoes to a pot and work in butter with a heavy whisk, a little at a time. When all butter is worked in, add cream until potatoes are fluffy and rich. Season with sea salt, add lobster and chives and hold warm. Heat an oven to 450 degrees. In a cast iron saute pan, heat the oil until almost smoking. Season the filets liberally with salt and pepper and sear in the pan until deep golden brown on all sides. Still in the pan, press the crust onto the filets and transfer the pan to the oven. Roast until the filets are medium rare and the crust is nicely browned. While filets are cooking, gently saute the asparagus to reheat. Season with salt and pepper, and finish with a drizzle of truffle oil. To plant, spoon a small amount of lobster mashed potatoes in the middle of a warm plate. Arrange the asparagus against the potatoes, sticking upward. Place the filet on top of the asparagus/potatoes. 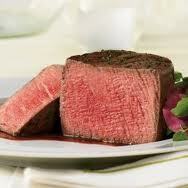 Drizzle peppercorn sauce around the plate and over the side of the filet. Serve right away. Again, this is a lot of work, and is pure indulgence. A meal to remember. If you make this, you will be king of the kitchen. I hope you do. We roast chicken. We grill chicken. We saute chicken. We fry chicken… Once in a while we boil chicken, though we try not to do that! We steam chicken (Asian recipes usually). Is there a best way? No. Is each way uniquely delicious? Yes. Do we get sick of the same thing day and in day out? Of course. So here’s a new way. It involves two techniques: poaching and searing. Poaching is one of the greatest and underutilized cooking techniques in our arsenal of techniques. In this case, you hold a protein at the exact right temperature (around 180 degrees) in a highly seasoned stock or broth, until the proteins are cooked through. It is gentle, imparts a HUGE amount of flavor, and leaves the meat cooked through, juicy, tender, and full of whatever flavor you choose. This technique also works well with salmon. Poaching has a negative reputation because it is too similar to boiling (though they are in reality vastly different), and it isn’t fun, like grilling or searing, and so on. Make a broth… bring it to 180 degrees… put the meat in… bring it back up to temp… wait…. wait… remove the meat…. and so on. Boring? Sure. But done right, the resulting flavor will be exciting enough. This recipe involves a ‘short’ stock for the chicken, the fore-mentioned poaching, and then a gentle sear in a pan. Try it. It’s incredible, and is truly unique. I included a morel mushroom sauce because the two go together like peas and carrots. Place everything except the chicken in a medium-large stock pot and simmer for 20 min. Season well with salt, and add the chicken (the chicken will bring down the temp). Bring the temp of the broth back to 180 degrees and hold at that temp for about 1/2 hr to 45 min, or until the chicken reads 155 in the middle. Remove the chicken and let drain. Strain the broth and begin reducing it over high heat. Reduce until about 2 cups remain. Reserve. When chicken is cool, carefully remove the breast meat from the bones, leaving the skin intact. In a large, heavy bottom saute pan, heat the oil. Season the chicken with salt and pepper and place in the pan, skin side down with the herbs and butter. When brown, flip once. When other side is brown, return to skin side down, and cook for about 1 more minute. Remove from pan and let rest 5 minutes. Prepare the sauce while the chicken is cooling from the poach. 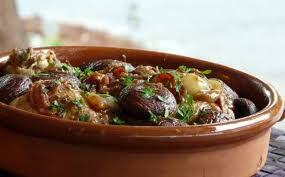 In a heavy bottom sauce pot, add the morel mushrooms, shallots, and white wine. Cook until wine is almost completely reduced. Add the poaching broth and reduce by 3/4. Add the cream and reduce until thick enough to coat the back of a spoon. Transfer the entire thing to a blender and blend until very smooth. Adjust seasoning with salt and pepper. Cut the chicken on a bias and fan out on a plate. Spoon sauce over and enjoy. I like to serve this with sauteed spinach, rosemary potatoes, and simmered root vegetables. 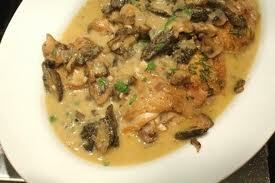 The flavor in the chicken paired with the morel sauce is remarkable, and I hope you like it as much as I do. My favorite summer dish of all time has got to be Panzanella. Just thinking about it gets me hungry. 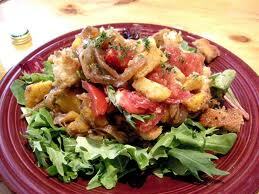 Thinking about Panzanella makes me want to go out, buy all the ingredients and cook right now! I’ll make it any time of the year (in Los Angeles summer dishes work year round) but it’s especially great in the summer. It involves so many of my favorite ingredients and cooking techniques, and in the end is simple, and is one of those dishes someone ‘got right’ a long time ago. Who ever it was, really hit a home run. Panzanella is a Tuscan bread salad. For my version, I start with the basics (bread, cucumber, tomato), and then take some liberties. Please note, the bread soaks up the flavors from everything else in the salad (tomatoes, beans, lemon juice, olive oil, etc) and can quickly become soggy if left to sit. To avoid this, either serve and consume right away, or hold the bread separate and add just before the point of consumption. The salad is incredible. It really is. It’s everything good about grilling, summer food, great natural flavors and true Tuscan/Italian cuisine in one dish. I have never made this for someone didn’t love it in the end. Bring a grill to high heat and make sure the grates are clean and well oiled. Liberally rub the steak with the spice mix, salt and pepper and grill until mid rare. Let rest until room temp. Sliced the bread into 3/4 in slices and lightly coat with olive oil. Grill on both sides until golden brown and let cool. Once cool, cut into cubes. In a large mixing bowl, add the celery, onion, carrot, radish, tomatoes, lettuce, beans, basil, roasted pepper, cucumber, lemon juice and a small amount of olive oil. Season with salt and pepper. Toss everything to evenly coat. Add the cubed bread and again toss lightly. Place in the bottom of a serving bowl. Slice the steak thinly AGAINST the grain. Garnish the salad with the egg, bacon, avocado, sliced steak and gorgonzola cheese. Squeeze the reserved 1/2 lemon over the salad, drizzle a little more oil on top and finish with some cracked pepper. Grilling: huge flavor. 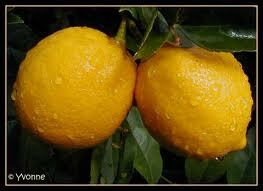 Meyer lemons: come on. Put the two of them together in the right context: fireworks. Grilling lemons is a little Chef’s secret. Anything, anything that goes well with lemons will go well with grilled lemon. The difference is, of course, in the lemon. Grilling brings out the sweetness, accentuates and intensifies the ‘lemon’ flavor, and gets the juices flowing. Vinaigrettes are, by definition, 1 part vinegar and 3 parts oil, emulsified together. Vinegar is of course acid, and oil is fat. So the door is open for interpretation. Sherry vinegar and bacon vinaigrette, horseradish/mango and butter emulsion, balsamic/honey and olive oil. The list is as long as your imagination is big. Any acid/fat combination will work. But is it appropriate? I am choosing a grilled meyer lemon vinaigrette because I know it goes well with a large array of dishes, is easy, and embodies the passion of creative cooking. The flavor change in the lemon from grilling alone will dazzle. Add the herbs and emulsifying agents, and again, another explosion of flavor! Add the finished product to, for example, grilled peaches, and you will have taken culinary expression to another level. Meyer lemons are of in course in the lemon family, and are sweeter, slightly less acidic than normal lemons, and are almost a cross between lemons and tangerines. The caramalization resulting from grilling brings out the incredible sweetness of the fruit. Fresh thyme balances the sweetness with a savory herb flavor. The emulsifying agents are organic honey and dijon mustard. To clarify, an emulsion is an even mix of two items that don’t normally mix. Take vinegar and oil. In nature, they don’t mix, rather they separate, with the oil rising to the top. An emulsifying agent will allow the mix to hold, temporally (or permanently) and usually, the agent contains high amounts of lecithin. Honey, mustard, egg yolks… these are naturally occurring agents that also add great flavor and texture to our vinaigrettes. Heat a grill to high heat. Clean and oil the grates. Cut the lemons in the half, apply a little oil to the cut side, season with salt and pepper and place on grill, cut side down. Grill until deeply caramelized, and turn 90 degrees. When deep golden brown and slightly charred, remove from grill and let slightly cool. Juice lemons and add the juice, vinegar, shallot, honey, mustard, thyme, and a liberal amount of salt and pepper to a bar blender. Begin to blend. Drizzly the oil in, slowly, letting the emulsion form (if you pour the oil in too quickly the emulsion will break). Re-season with salt and pepper. Vinaigrette is now down. This goes exceptionally well with delicate salads, grilled peaches with olive oil, grilled sea bass, artichokes, and so on. I will post a recipe a follow up recipe on this one later. Paris. You almost say it with a sigh. The city of light. Wine, cheese, French bread, crepes, music in the streets at night- it’s no wonder everyone loves Paris. Even in the darkest days of winter, the lights twinkle and the warmth of the city embraces you. Maybe winter isn’t so bad when a roaring fire, hot mulled red wine and French soup await. Maybe summer isn’t so hot when fresh picked strawberries, cream and chilled Normandie shellfish are waiting. The French chefs of yesterday set the standard for ‘western’ cuisine. Men like Careme, Escoffier, Fernand Point, and so on. These are the men who defined classical (haute) cuisine. Then the others rose to fame in the 70s and 80s with nouvelle cuisine. Nouvelle cuisine is really the classics interpreted, many times in a healthy, or redirected way. Michelin began its famous guide (which started as a guide for the first Michelin tire salesmen), and the cream rose to the top, and thus began the beginning of the celebrity chef. Classic cuisine today is almost a lost cause. The extravagant platters, displays and presentations just aren’t done anymore. The closest we come now is probably an ice carving packed with shrimp and shellfish on some Vegas brunch display. I love the classics. Do I make them? Only once in a great while. Are they sometimes too much work and too complicated? Yes. Even for me. Fluting mushrooms, turning vegetables, setting meats ‘en glasage’ is incredibly time consuming and not practical. This dish, coq au vin, is an old classic. Traditionally, it’s made from farm raised rooster, which is tougher than hen and therefore needs a long braise, as opposed to a hen, which will become tough and overcook very fast. The chicken is braised in wine, aromatics, herbs, and other little wonderful things until tender and delicious. Cut the chicken or hens into 8 cut (classic French chicken butchery, see youtube for lesson). Marinade chicken over night in wine, onion, celery, carrots, thyme, and garlic. Next day, remove the chicken from the marinade and let dry. Strain the vegetables and herbs out of the marinade and reserve everything. Heat oven to 300. In a heavy bottom dutch oven, begin heating a little vegetable oil. Season the flour with salt and pepper. Dredge the chicken in the flour, tapping off any excess. Sear the chicken in the oil. When all sides are brown, remove and let drain on paper towel. In the same pot, put some fresh oil and saute the mushrooms. When golden brown, remove and drain. Again, in the same pot add some fresh oil and begin caramelizing the vegetables. When dark brown and highly fragrant, add the herbs and tomato paste. Stir to evenly coat everything with the tomato paste. Do not burn! Deglaze with brandy (away from open flame) and let reduce to au sec (almost dry) Add reserved red wine and reduce by 2/3. Add the chicken stock and reduce by half. Add the chicken back to the pot with the mushrooms, add the demi-glace, season with salt and pepper, cover, and place in oven for 1 1/2 hours. Remove from oven and return to stove top. Add fresh cream and reduce until sauce is thick enough to coat the back of a spoon. Reseason. Remove sprigs of thyme. Serve and garnish with fresh parsley. *Note: demi-glace can be bought at gourmet markets like whole foods. It is a reduced and thickened veal stock, and is also the base for most brown, or red meat sauces. This dish goes best with things that absorb the sauce well, like fresh French bread, mashed potatoes, or purees. A drizzle of truffle oil at the end won’t hurt either. It is true classic ‘haute’ cuisine. 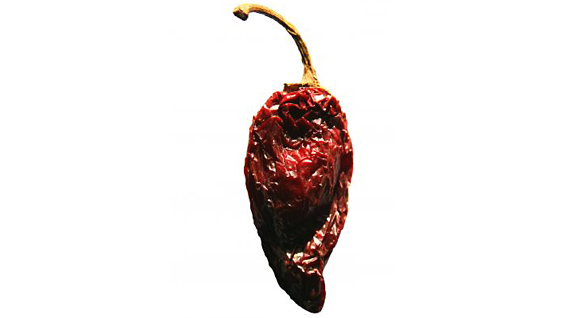 Chipotles are smoked jalapeno peppers. Normally, when we buy them, they come in little cans of ‘chipotle in adobo’ which is chipotle peppers in a smoky, spicy, tomato based sauce. Over the last few years, chipotles have taken the culinary work by storm! Everyone seems to love anything with chipotle in it, and for good reason. They’re delicious. In a blender, puree the chipotle in adobo with 1/4 cup mayo and zest. Take the puree and work it into the rest of the mayo. You’re done. Use this for a dipping sauce, on sandwiches, for dipping shellfish, on crab cakes, to go with beef, on burgers… whatever. You cannot go wrong.